It’s been four long years since sweet Ginger was first introduced to Responsible Pet Care of Oxford Hills. The no-kill animal shelter in Paris, Maine was built from the ground up by a small group of people dedicated to improving the lives of lost, abandoned, and stray animals in their community. They see several heartbreaking cases a year, but they never turn down an animal in need. In 2014, Ginger came to them as a stray. She needed a good meal and a safe place to sleep, and now all she wants is a forever home. For more than 1,456 days, Ginger has received exemplary care at the shelter. She’s provided all the medical care she needs and fills her belly with healthy food every day. 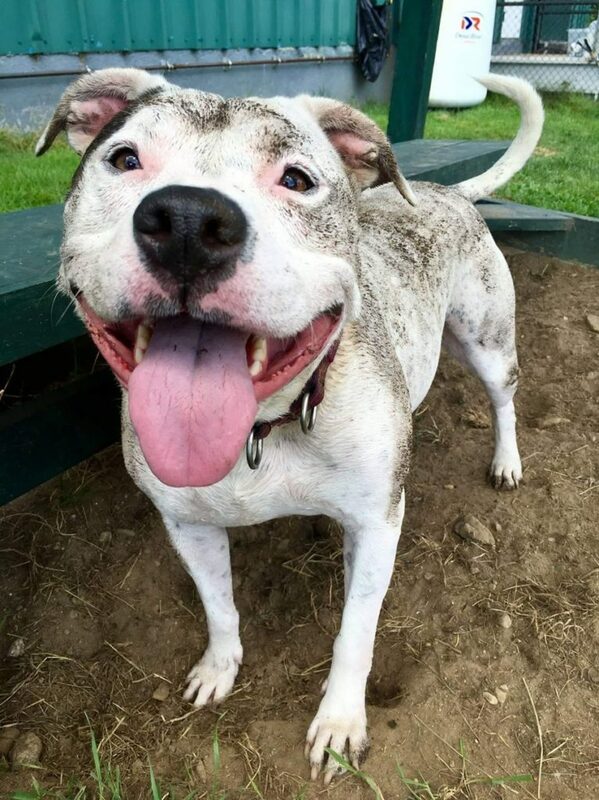 She gets daily exercise, and the shelter staff and volunteers give her love and attention. Everyone at the shelter has fallen in love with Ginger’s innocent personality, but they know no matter how hard they try, they can’t make life at a shelter be as good as life in a home. Since that original post, social media has rallied to help send Ginger home. The post has been shared over 1,620 times, and there’s a flood of comments from people voicing their support. More than ever before, the search is on for Ginger’s new home. At seven years old, Ginger is ready to spend the best years of her life with a family that will prioritize her well-being. She doesn’t need just any home, Responsible Pet Care is determined to find the perfect family to match Ginger’s specific needs. The playful pup loves to chase balls and enjoys spending hot days in her personal paddling pool. She knows commands and is happy going on walks and running around her exercise yard. She’s particular about her animal friends, and shelter staff believe she will do best in a home with no other pets or young children. If you think Ginger would fit in well with your family, it’s time to contact Responsible Pet Care. This sweet pup will always be well taken care of at the shelter, but she’d much rather have a home to call her own. Visit the shelter’s website and Facebook page to learn more about their adoption process. And if you can’t adopt but still want to help, consider donating to help Responsible Pet Care continue their work that’s saving lives.